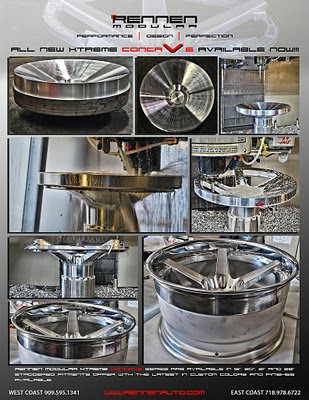 Posted on ModernCamaro.com this week are the NEW Concave wheels for the 2010/2011 Chevrolet Camaro. These are the 22 inch Rennen X-Concave wheels with custom machined SS center cap! 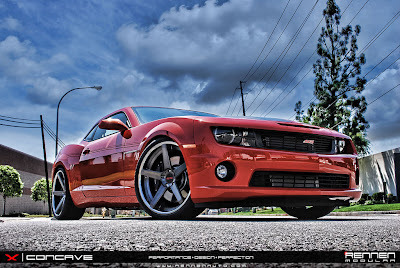 We love the look of this wheel, the concave spoke design really doesn't have that traditional BIG wheel look. Check out the images below, if they look as good in person as the photographs show, they have a winner. Talk about slim chances, how about a 1 in 76,000 shot at a new car? John Nidefski could hardly believe it. The Grand Rapids man won a special edition 2010 Chevy Camaro SS, the first of its kind, from Richard Childress Racing. A group of five finalists traveled to Charlotte, North Carolina to try their keys in the Camaro. Nidefski was the last to try his key. He was holding his breath, but he drove away with the prize. 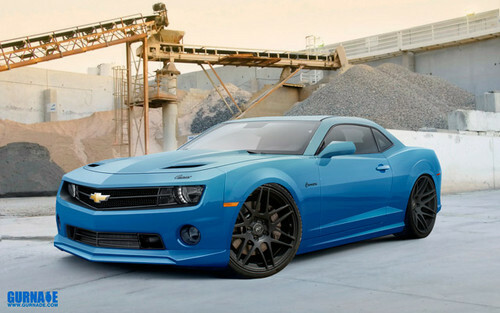 Do you miss the T-Top Camaro? 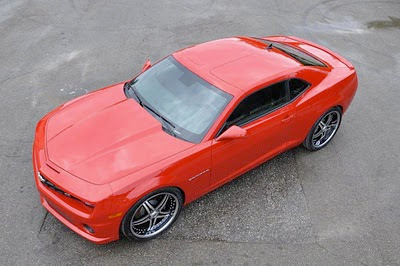 If you miss having a T-Top roof on your Camaro and are willing to spend about $6,500, you can have a T-Top roof installed on your 2010 or 2011 Chevrolet Camaro! Drop Top Customs has released its 2010 Chevy Camaro T-Top Kit, which will debut at 2010 SEMA next month.The T-top kit features undercarriage reinforcement to bolster the loss of rigidity from the cut roof. They claim that flex is not an issue with the kit. 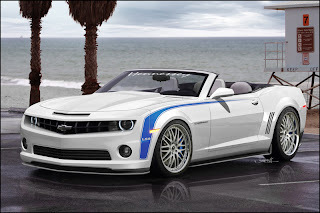 DETROIT – In just 3 minutes earlier today, customers quickly claimed all 100 of the special edition 2011 Chevrolet Camaro Convertibles prepared exclusively for the annual Neiman Marcus Christmas Book. These new owners claimed their Neiman Marcus Edition cars via a special telephone reservation process today, a few hours after the car appeared on NBC’s Today Show. 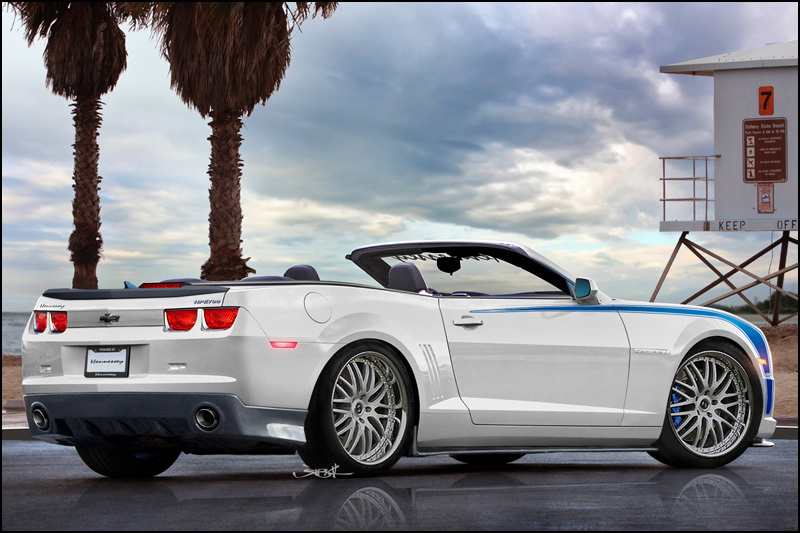 Only 100 special edition convertibles will be built, each offering luxury appointments inspired by Neiman Marcus combined with the legendary performance of the Camaro SS. The lucky 100 new owners will take delivery of their special edition cars in the spring of 2011, shortly after the new 2011 Chevrolet Camaro arrives in dealerships. The Neiman Marcus Edition is defined by its exclusive Deep Bordeaux exterior color, accented by subtle, “ghosted” rally stripes. The exterior color is complimented by a matching fabric top and windshield frame finished in matte silver, both also exclusive to the Neiman Marcus edition. 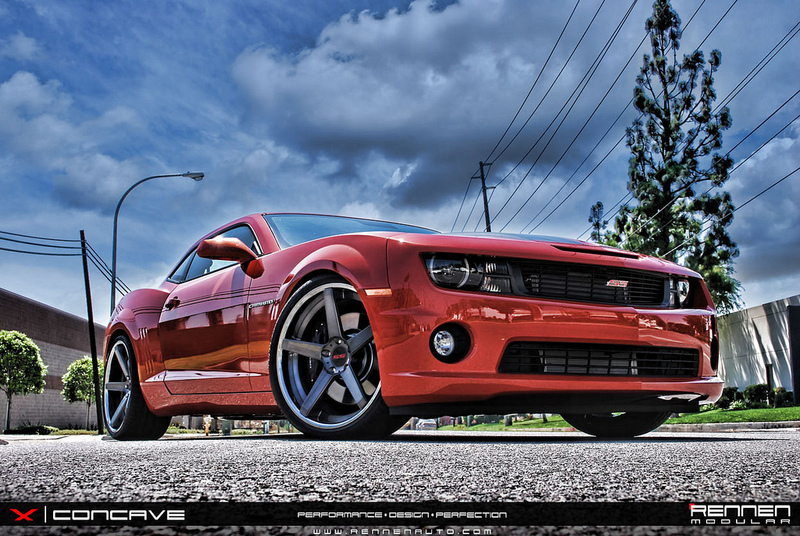 Be prepared for a wave of custom Camaros and Mustangs over the next few weeks as we get closer to the 2010 SEMA show! Here’s one of them, aLL STar Performance, which has steered clear of crazy body kits and enhances the styling using subtle yet effective touches. That’s very cool, and so is the Dupont blue exterior color. 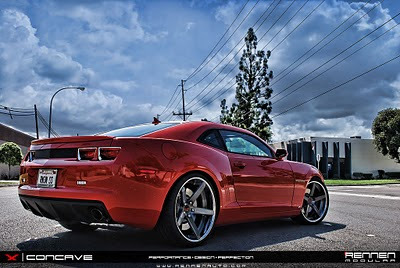 Other striking feature of this Camaro is a set of 22×11” Forgestar wheels done in matte black. It also comes with a custom set of Baer brakes, Air Lift digital suspension, Lysholm supercharger, and more! Here’s the list of all partners in this project: Forgestar Wheels, Baer brakes, Falken Tires, Air Lift Suspension, Extreme Dimensions, Dupont, American Racing Headers, Lysholm Superchargers, Innovate Motorsports, Azentek, Status Racing, STACK, Autometer, Trent’s Trick Upholstrey, MagnaFlow Exhaust Products, Webasto, Ignited HID, Light WurkZ, StreetGlow, Metra, Image Dynamics, TechAFX, S.P.E.C, Royal Purple and Real AutoWorks. WASHINGTON - A D.C. Police SUV was involved in a wreck at the filming of Transformers 3 in Washington D.C. 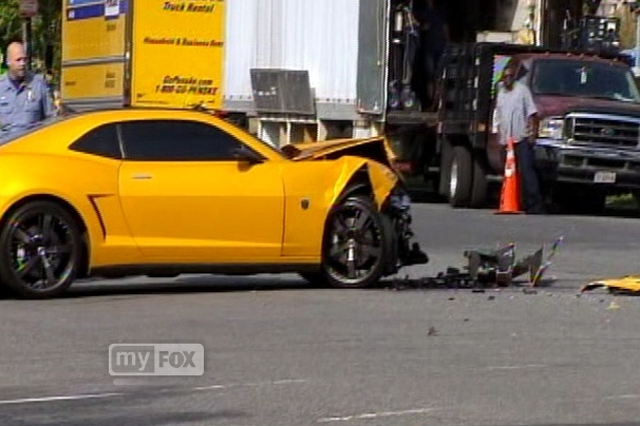 While the movie was filming a car chase scene on 3rd Street and Maryland Ave in southwest D.C., the police SUV collides with a yellow Chevy Camaro, which in the movie series is known as the character Bumblebee. The police SUV was not supposed to be there and the wreck itself was not scripted. The police officer driving the SUV is a veteran bomb technician. He was taken to a local hospital and sustained minor injuries. Sources tell FOX 5 that he was running to a call to 9th and F Street and was apparently using a different radio channel than the police officers who were securing the perimeter for the movie. 2012 Camaro to get new tail lamps and side mirrors? An alert photographer captured what is believed to be a Camaro featuring a new style of rear LED tail lamps and side view mirrors. Personally I'd stick with the 2010-2011 tails and mirrors. 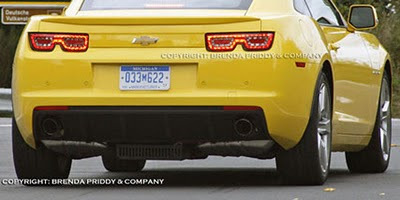 As much as we know a mild facelift is coming soon, lets hope these are only test parts on this particular Camaro. MotorTrend has some other great shots of this car. Only 24 lucky buyers will get their hands on a 2011 Chevrolet Camaro with the Hennessey HPE700 LS9 treatment. They will be a mix of hardtop and convertible models. These are not ordinary tuned Camaros. Hennessey has a rich history of tuning factory performance cars and these will have a 755 horsepower version of the LS9 motor currently available in the Corvette ZR1. According to Hennessey, the HPE700 Camaro will do 0-60 mph in 3.3 seconds and the quarter mile in 10.9 seconds at 130 mph, impressive! The 1969 Camaro ZL-1 may very well be one of the most sought after Camaros ever built. Chevrolet built 69 1969 Camaros with the ZL-1 package, a street legal weapon powered by a 427 Big Block motor, factory exhaust and tires and a 5 year/50,000 mile warranty! These cars could blow through the 1320 in 13 seconds. Fast forward to 2011, SLP who is no stranger to Camaros, announced they will offer a ZL1 package on the 2011 Camaro SS! Their ad below states they plan to create 69 (coincidence?) and they should have 750 horsepower packed under the hood. We can't wait for these to hit the pavement! See it live at the debut in Anaheim, California at the OC Auto Show this weekend, October 7-11, 2010. Today in Dallas, Texas, Neiman Marcus unveiled their 2010 Holiday Catalog. The Neiman Marcus catalog is world renown for their luxurious, high-end, and special holiday gifts. Over the last ten years, the catalog has featured some of the rarest, most unique automobiles ever created and sold. 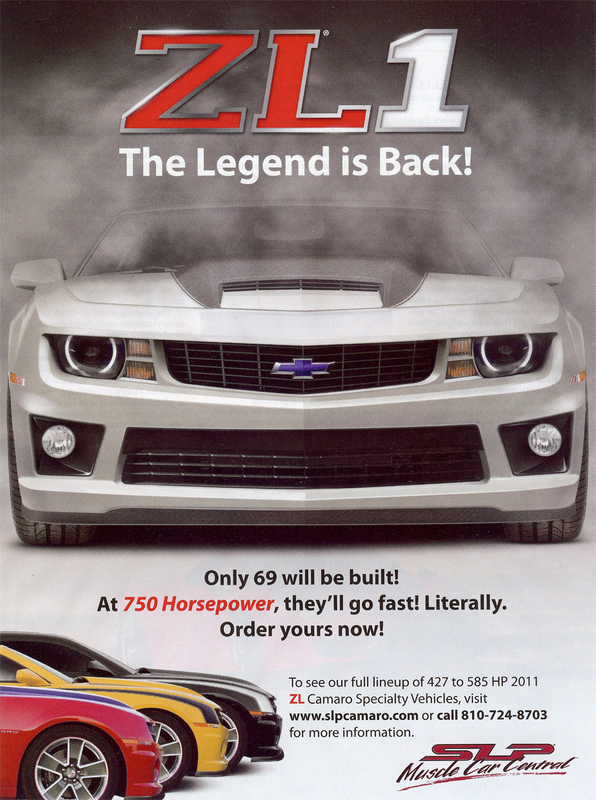 Never has a Chevrolet model been offered for sale in their catalog – until now. Chevrolet is pleased to announce we have teamed up with Neiman Marcus to create the 2011 Neiman Marcus Edition Camaro Convertible. 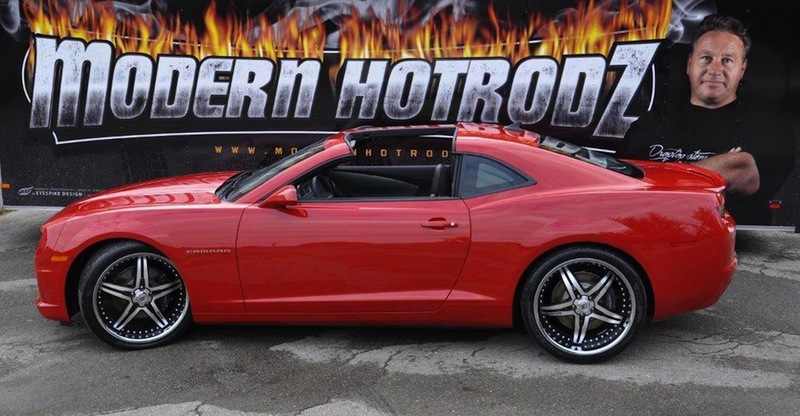 This special edition convertible model -- based off of the Camaro 2SS – features such unique characteristics as Deep Bordeaux Tri-Coat exterior color with painted rally stripes; 21” wheels, that look similar to those on the Camaro convertible concept car, with red flare accent; and Amber leather-appointed interior with red flare accent stitching. A hero card with an image of this model is attached for reference. The car is painted Deep Bordeaux and comes with subtle rally stripes. The interior is amber leather offset by black leather side panels and red stitching. That's cool, but even cooler is the power beneath the hood: The Neiman Marcus Camaro Convertibles are equipped with a 6.2-liter, V-8 engine. When paired with six-speed manual transmission, the engine delivers 426 horsepower and 420 pound-feet of torque. 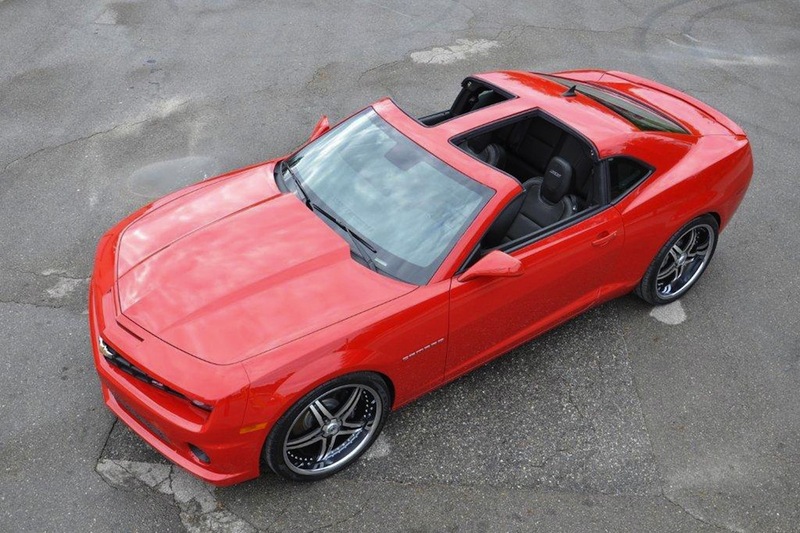 Only 100 of these unique Camaro Convertible models will be offered for sale on Tuesday, October 19, 2010. The only way this model can be purchased is for customers to call the Neiman Marcus Edition Camaro Convertible Call Center at 1.877.662.6276 at 12 Noon sharp, Eastern Time, on October 19, 2010. The first 100 callers will receive a “pin” authorizing the sale of this model. Expect to pay around $75,000 for this limited edition Camaro. Vehicle delivery is anticipated Spring 2011. It is important to note only retail customers are eligible for this program. Direct to dealer and dealer employee sales are not eligible. What do you get when you take one 2010 Camaro with the 304 HP V6 and 19" All-Season tires and spend some time in the snow? I'd love to make Camaro snow angels like you see in the video below! Who says Camaros are only for the summer! 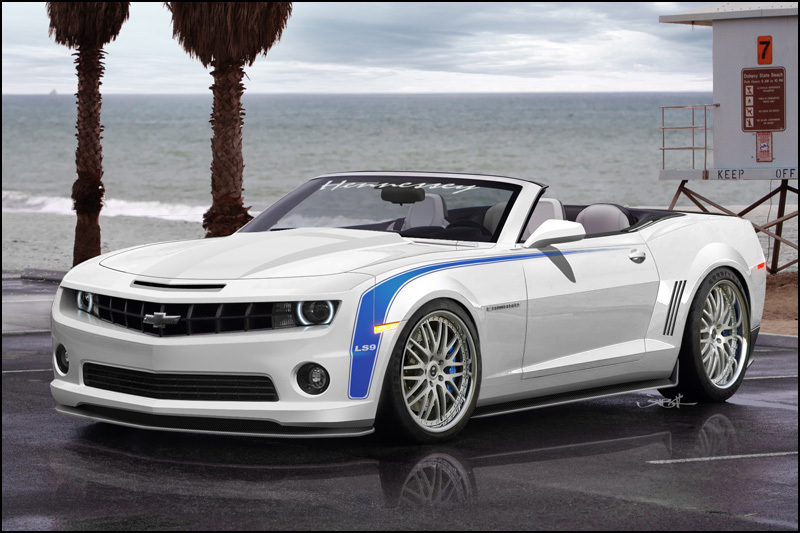 National Products plans to release a 12 volt battery powered 2010 Camaro SS replica in November, just in time for the 2011 Camaro convertible to be released by GM. This version even has an auxiliary port to play music from their MP3 player! 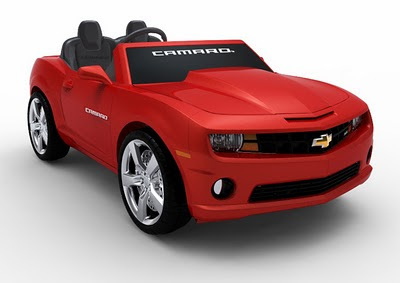 Available at the Chevy Mall, the Chevrolet Camaro 2 Seater 12v Kids Car is set to start shipping in November, list price appears to be around $350. I can't wait to see the list of mods to show up on the internet in December. The 12-volt battery propels two passengers at a cruising speed of up to 5 mph when the gas pedal is pressed; releasing the pedal brings the car to a smooth stop. Color: Red. The car's interior keeps young drivers entertained with electronic sound buttons that play different authentic effects. The vehicle has a MP3 outlet for the young rider to play music from any MP3 and/or iPod. The vehicle runs for up to one hour on a full charge. Charging time takes approx 8-10 hours with the included AC charger. Vehicle measures 61 inches long x 29.5 inches tall x 23 inches wide. Supports up to 130 lbs. Weight of vehicle is 75 lbs. For ages 3 - 7. Meets or exceeds all safety and quality control government guidelines. It looks like there will be a new Camaro in my garage sooner than later, at least the kids can enjoy their new Camaro. Camaro SS versus Lamborghini Gallardo at the 2010 Fireball Run. Team High Gear Media took to the 2010 Camaro SS to Heartland Park Topeka and managed to catch and pass the LP550-2 piloted by none other than Victor Balboni. DETROIT – The 21st century rebirth of the Chevrolet Camaro opens a new chapter when the 2011 Camaro Convertible premieres at the Los Angeles International Auto Show on Nov. 17. “The Convertible will make the all-new Camaro, already a smash-hit, even more desirable to a greater range of drivers,” says Chris Perry, vice president of Chevrolet Marketing. 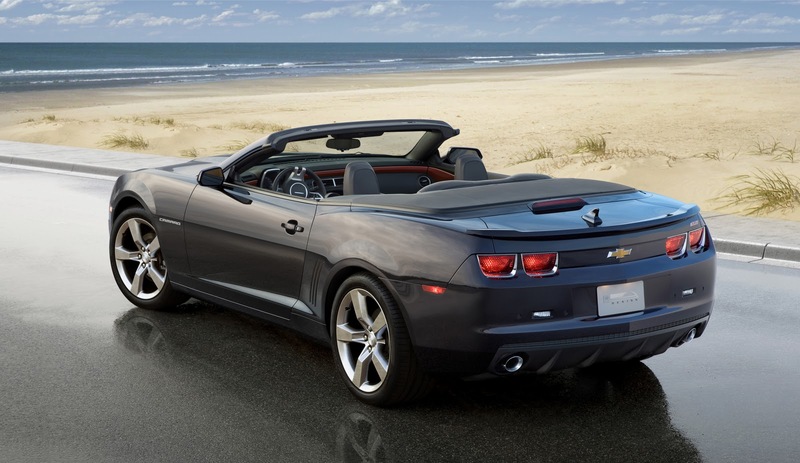 The Convertible model will be available in the same basic model offering as the Camaro Coupe. The standard model will have a 312-hp Direct Injection V6 engine featuring 29 miles per gallon on the highway. The SS model will feature the 6.2-liter V8 engine producing 426 hp. A six-speed manual transmission will be standard, with an optional six-speed automatic.